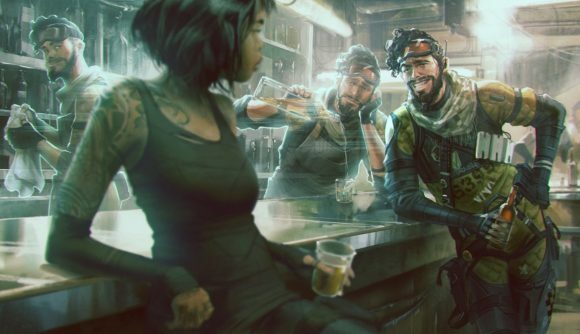 Last week, Apex Legends’ growing community of cheats was hit with a significant ban wave as Respawn issued hardware ID bans preventing players from creating new accounts following a ban. Happiness was short-lived, however, as players found that a new type of cheat had surfaced in the wake of Respawn’s actions. Last we heard, Respawn had banned more than 350,000 Apex Legends cheaters, and that number is likely to have risen over the past few weeks. The high number of cheaters apparently linked to China means that the developer is facing calls to region-lock the country – requests similar to those made to PUBG Corp in response to its cheating problems. Innovative Apex Legends players aren’t bad news for everyone, however, as industrious players have been hard at work trying to improve Gibraltar. The battle royale’s biggest boi is normally an easy target, but he quickly becomes far more difficult to hit when you strap one of Octane’s jump pads to his shield – although he’s also pretty difficult to control in that situation, too.